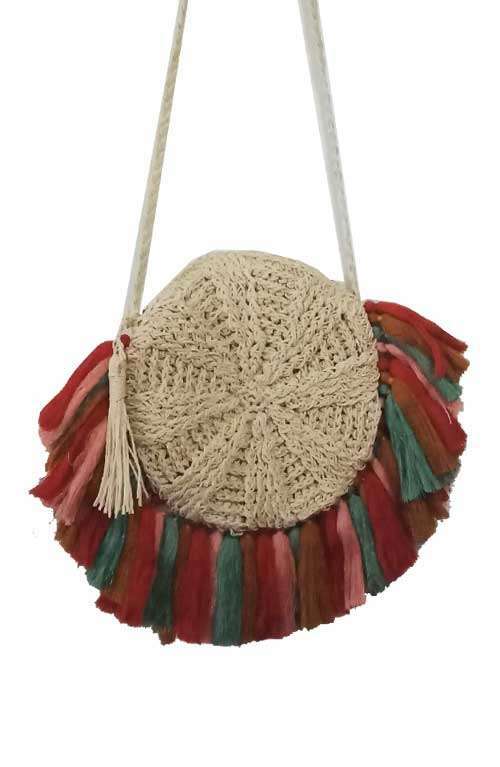 This beautiful boho crossbody bag is made with soft straw and colorful fringes. 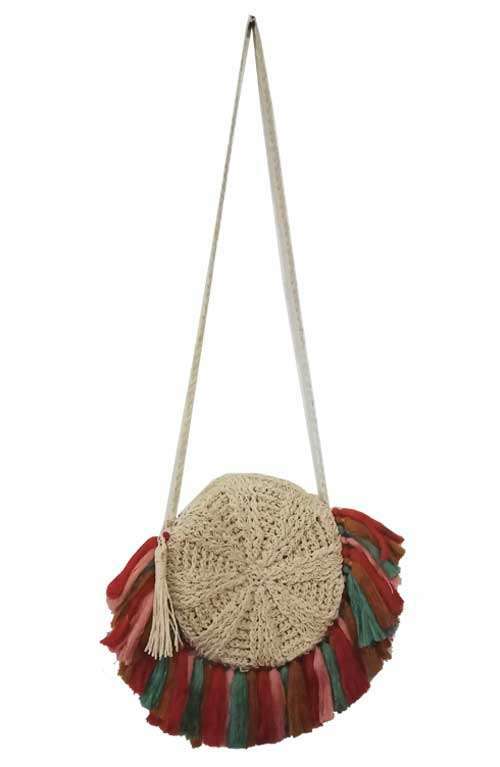 This shoulder bag is the perfect fringe bag for a day out at the beach. 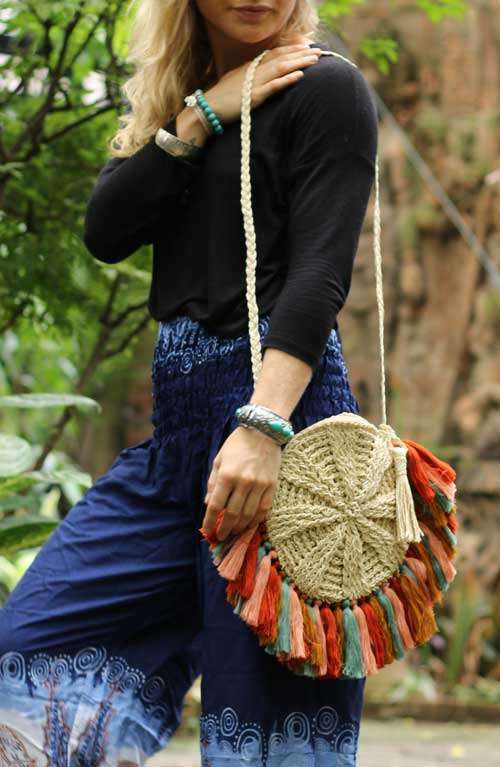 This straw cross body bag is handmade in Thailand. 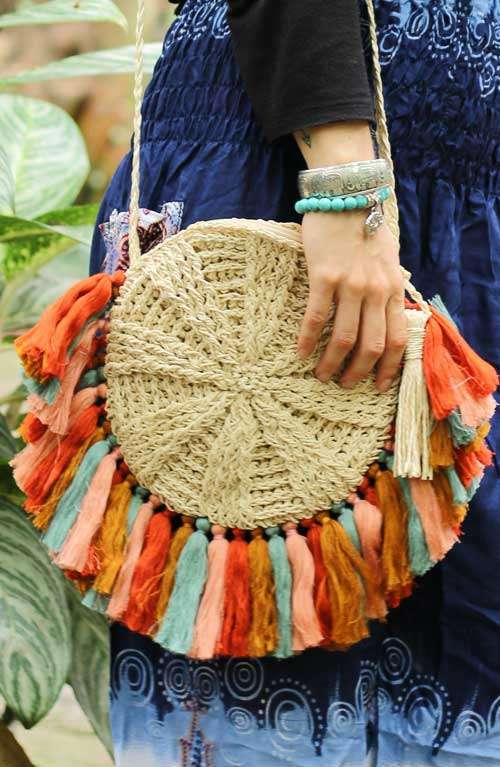 This round shoulder bag with zipper opening, a long shoulder strap and colorful tassels is the perfect fringe bag for a day out at the beach. Please note: This bag is handmade to order taking 1-3days to make.